Designed for video signal applications. PERICOM Semiconductor, represented in Australia by Braemac , has released six analogue video switches aimed at the consumer multimedia video market. The PI3V and PI5V switches are designed for video signal applications and provide an optimal cost-to-performance solution for high volume switching functions. 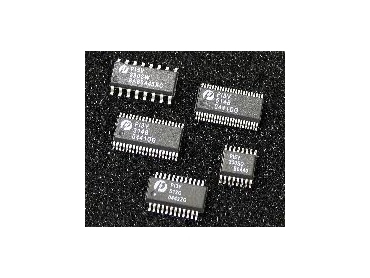 They are multiplexer/demultiplexers with Hi-Z outputs that are recommended for both RGB and composite video switching. This includes applications such as PCs, televisions, projection equipment, graphics cards, set-top boxes, networking, and telecommunications. Due to the low R-on and C-on of the products, the bandwidth can be as high as 570 MHz. They also offer crosstalk of -60db to -80dB and isolation of -60dB. The PI3Vx14 family enables designers to add up to four video components to a video network. It has low R-on, making it suitable for analogue video signals and helping to minimise attenuation or distortion due to colour granularity and picture quality. Multiple PC connections to the same network require multiplexing capability of the horizontal and vertical synchronous signals to the single display unit. The 512/514 five-channel products meet this need. Circuit damage due to ESD/EOS is common in boards that do not have a built-in ESD protection mechanism on the board itself. The PI5V330S analogue switch provides ESD protection of 5kV HBM and 10kV I/O to GND. A single device provides switching of up to four video input streams with three to five channels. The switches can operate with voltages of 5V, 3.3V or 2.5V and they provide 5V of rail-to-rail switching and 5V of I/O tolerance.